Mulhall Obelisks is a metal-work company located in Abbeyleix in County Laois. 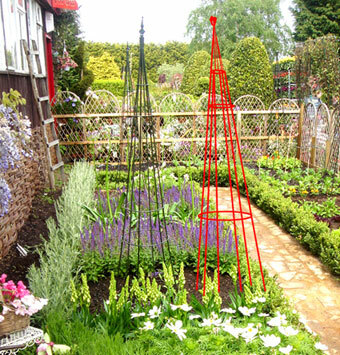 Established in 1989 we specialise in handmade metal garden plant supports and obelisks, which can be designed to all gardeners individual needs. Whether you want to train climbers, control bushy shrubs or restrain bordering plants, Mulhall Obelisks will help to ensure that your garden looks its best. We also specialise in garden Percolias and Garden Arches which are custom built to suit your garden needs and are available on request. 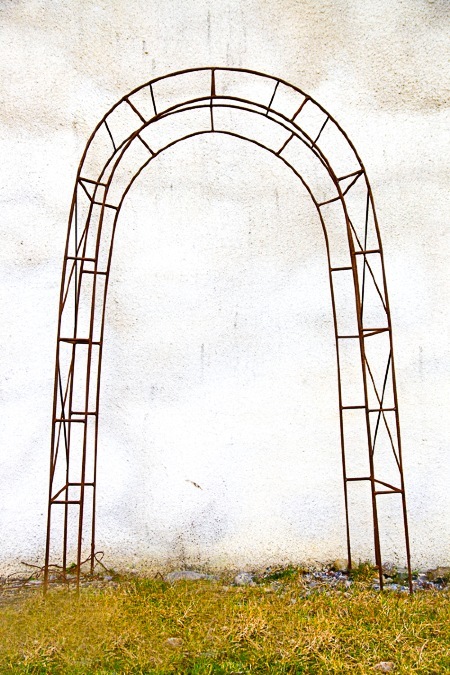 Garden Arch for roses and clematis and assorted flowers. 2m high x 1.2m width.